10 minutes easy walk to town centre, close to Lake Edge, Walking Tracks, Queenstown Gardens and Restaurnats, Cafe's and Shops. Unit comfortably furnished with outdoor deck furniture and BBQ. Away from the traffic and noise of busy Queenstown. otherwise maybe asked to pay for full booking.Wifi available on request. Our prices are reasonable and stay the same year round, we do not offer deals during Dec,Jan and Feb.Cost 2person $120.00pn extra Adult $25.00,child $15.00 .Please note one night stay incurrs extra $30.00 fee. Cancellation, if advised in plenty of time refund given otherwise only if able to rebook unit. Short walk along lake to CBD. A very cost functional space which served us perfectly for our 2 night stay. Thanks Clyde! Full kitchen although we did not use it or the bbq. Best thing is the view. Amazing! We drove to town center, about 5 min. Parking was not as difficult as it may appear. You can also walk or take the bus. Great little spot, a close walk to down. Neat, clean room with handy kitchen facilities. Lovely view, and pleasant, easygoing host. We had everything we needed during our stay in Queenstown. Unit was clean and comfortable. Nice location with views of the Frankton Arm section of the lake over to the golf course Location was safe approx 20 min walk along the lake and through the gardens into downtown. Owner replied to inquiries in a timely manner and accommodated our arrival time. We highly recommend this unit. This large efficiency apartment is very comfortable. The kitchen is well stocked, the bed is nice, and there is comfortable seating too. 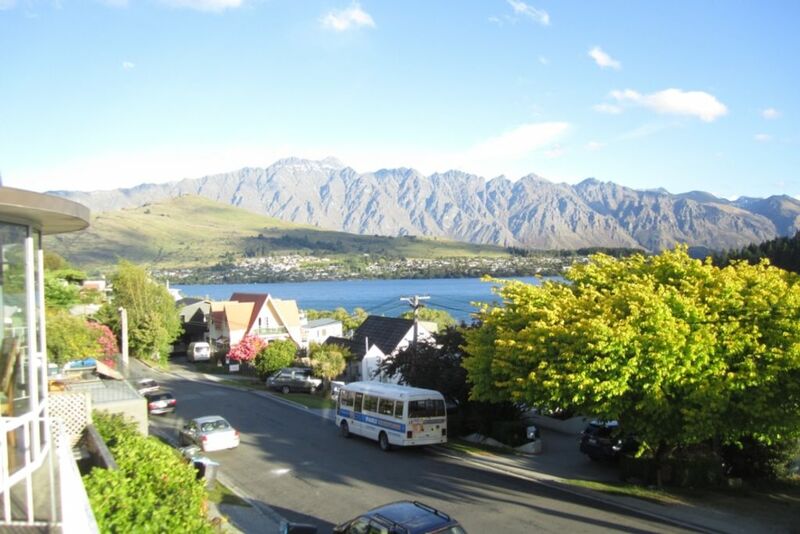 The 30 walk to the main tourist are is through the Queenstown Gardens, and it is a great, easy walk. I recommend this vacation rental. Really big room with everything! Comfy bed, Coffee, tea, fridge, toaster, great heat, nice deck... awesome!